I am a huge fan of natural skincare products. They not only prevent your skin from further damage through chemicals but make skin radiant and healthy. 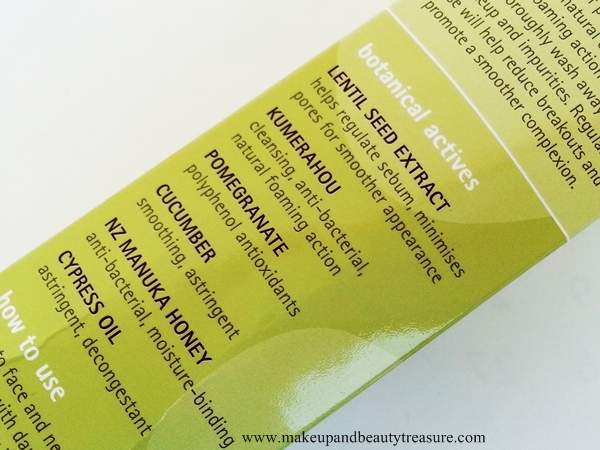 If you are a regular reader of my blog you must how much I raved about Evolu Renewing Facial Scrub (Reviewed HERE). 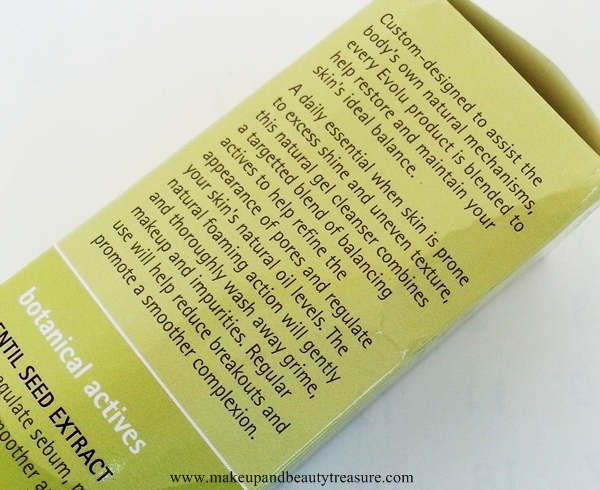 It is the mildest yet the effective scrub I have ever tried. Evolu Skincare is a total hit brand for me. There is not a single product that I did not like. 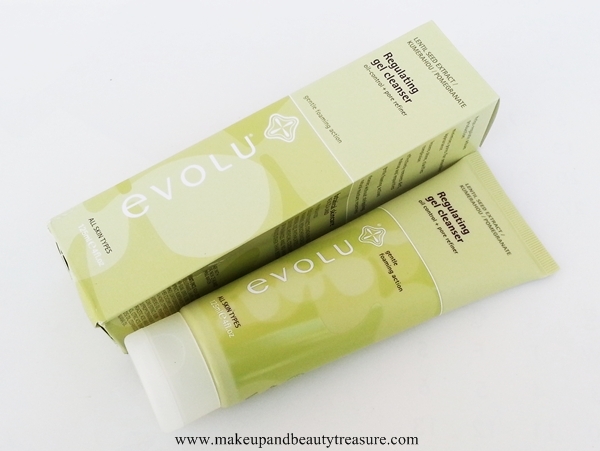 Today I am going to review Evolu Regulating Gel Cleanser* (Buy online HERE) which is meant for all skin types including sensitive skin. 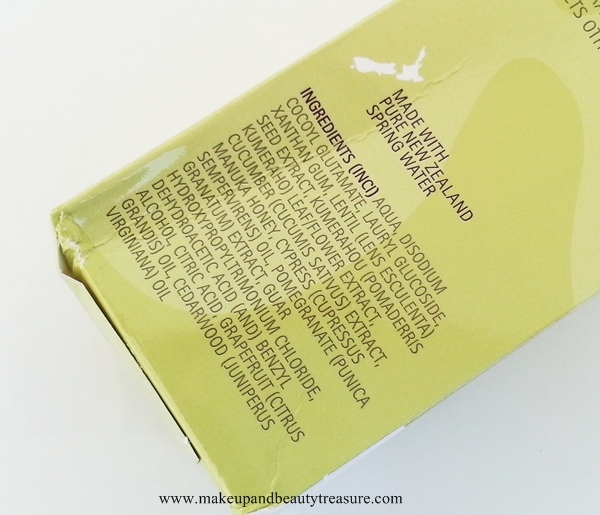 It is worth NZ$39.99/Rs 1806 which is a bit pricey but then it is a natural yet effective product so I really would not mind shedding few more bucks. Evolu Regulating Gel Cleanser comes in a green cardboard box packaging with all the information printed over it. 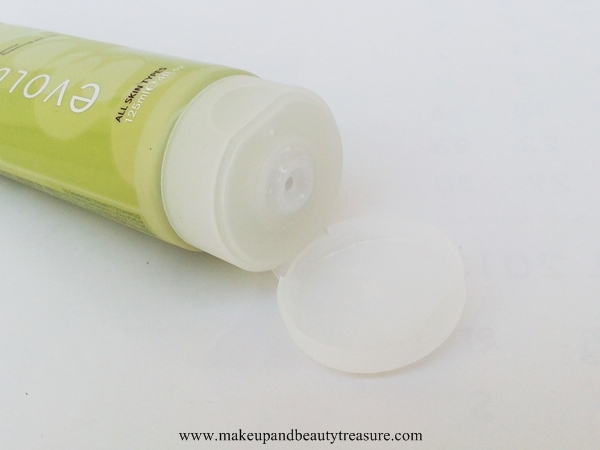 The actual product comes in a soft green squeezable plastic tube with a white flip top lid. The lid is quite tight and the tube can be easily carried around in a bag while traveling. The cleanser is light yellowish in color with a really soothing scent. I literally could not detect the scent but it is purely divine. The texture of the face wash is super soft and smooth with gel consistency. I take generous amount of face wash for both face and neck and it creates a good amount of lather that feels really soft and nice on the skin. It washes away really quickly and does not leave greasy or sticky residue behind. My skin feels fresh, soft, smooth, clean and radiant. It removes dirt, oil and non waterproof makeup effectively but fails in removing waterproof makeup. The lovely smell does not linger with me and fades away as soon as it is rinsed off. After going through medication, I now have combination skin- dry on the cheeks and oily at T zone. It does not tighten my skin and I do not feel the need to moisturize my face immediately. It does help in preventing and reducing pimples and acne with continuous usage and keeps the skin clean and fresh. It also helps in reducing pores and regulating oil. My T-zone used to get super oily in hot, humid weather but after using this cleanser it seems to get balanced and does not get extremely oily. The face wash contains lentil seed extract that minimizes pores and regulates sebum. Kumerahou is native to New Zealand and is the world’s best natural soap that creates a natural lather to effectively clean the skin. 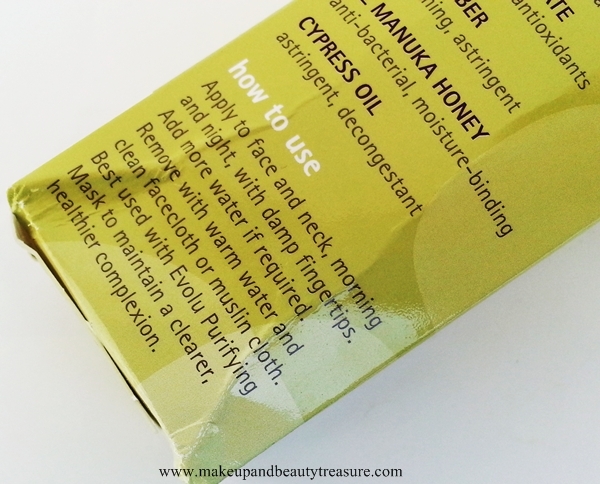 Manuka Honey Gel has anti bacterial properties and reduces the redness of pimples. I have not faced any adverse effects whilst using it. • Makes skin smooth, fresh and radiant. • Contains all good natural ingredients. Evolu Regulating Gel Cleanser is one of the best natural cleansers that make skin soft, smooth and radiant. 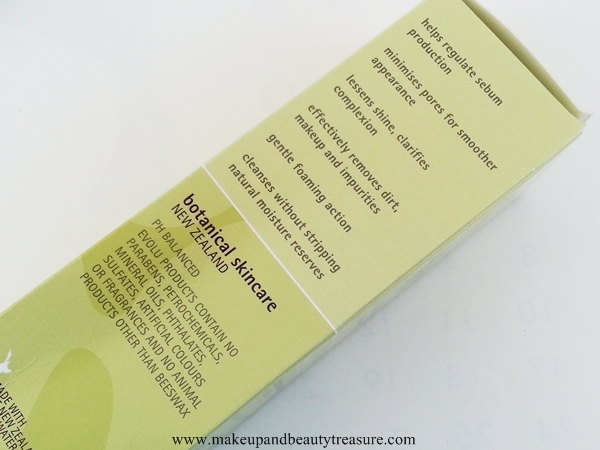 It minimizes pores and prevents breakouts with regular usage. The fragrance is really calming and instantly soothes senses. It is totally worth the price and I would HIGHLY RECOMMEND it to everyone! 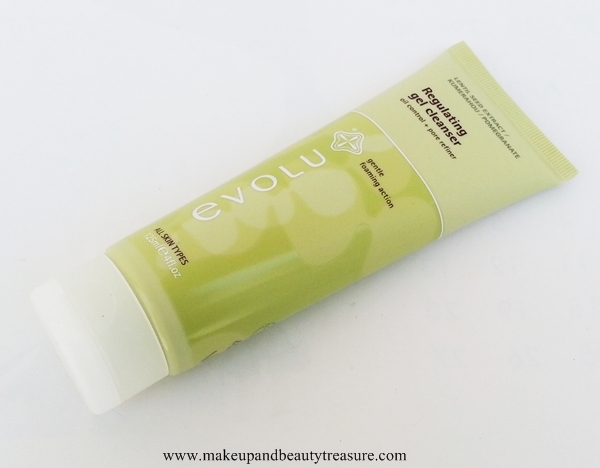 Have you tried Evolu Regulating Gel Cleanser? What is your favorite natural skincare line? Share in the comments section below!